A research team at the Ulsan Institute of Science and Technology (UNIST) has developed a new high-performance catalyst that can produce hydrogen peroxide using electricity. A new catalyst that can produce hydrogen peroxide using electricity has been developed. This technology is expected to open a new way to produce environment-friendly hydrogen peroxide at less cost. The Ulsan Institute of Science and Technology (UNIST) announced on Jan. 27 that Prof. Joo Sang-hoon’s research team at the School of Energy and Chemical Engineering has developed a high-performance carbon catalyst that can convert oxygen (O₂) to hydrogen peroxide by using electricity. This catalyst is edge-rich, which means that it constitutes a number of edges that lead to high reactivity. This characteristic allowed the catalyst to produce 28 times more hydrogen peroxide than when it only has a small number of edges. Hydrogen peroxide is a liquid compound that is odorless, transparent with no color, and strongly acidic. It is widely used in a variety of fields involving chemical synthesis, including the paper production industry. In the past, the production cost was high because it was made by using high-pressure hydrogen (H₂) and metal catalyst (Pd), involving various steps. In addition, large quantities of organic wastes were generated in the process, causing environmental pollution. 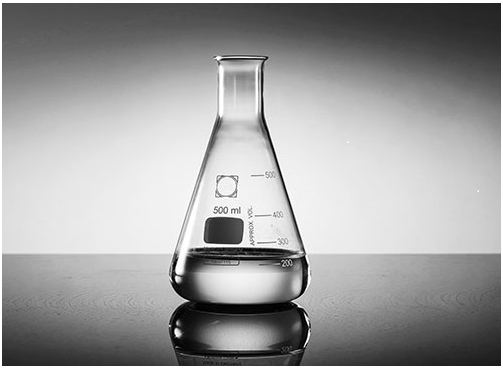 Electrochemical conversion is considered as an environment-friendly and economical method to produce hydrogen peroxide. This method converts oxygen in the air into hydrogen peroxide using electricity produced by renewable energy, such as solar and wind power. This technology requires an economically efficient catalyst that can promote the process of reducing oxygen to selectively convert it into hydrogen peroxide. The research team devised a strategy to grow carbon atoms into graphite crystals within the pores of nanoporous material. The carbon atoms grown in the pores are vertically layered, forming a structure with a significantly increased number of edges. Carbon catalysts with an increased number of edges have shown about 28 times higher hydrogen peroxide production than carbon nanotubes (CNTs) with few edges. The oxygen selectivity was also high, showing 99 percent selectivity. This is the best performance level of a carbon catalyst reported so far. The results of this study were published in the German journal, AngewandteChemie International Edition, which is one of the most prestigious journals in the academic field of chemistry.